Captain Scott Tupper equalised for Canada in the 45th minute of the game. 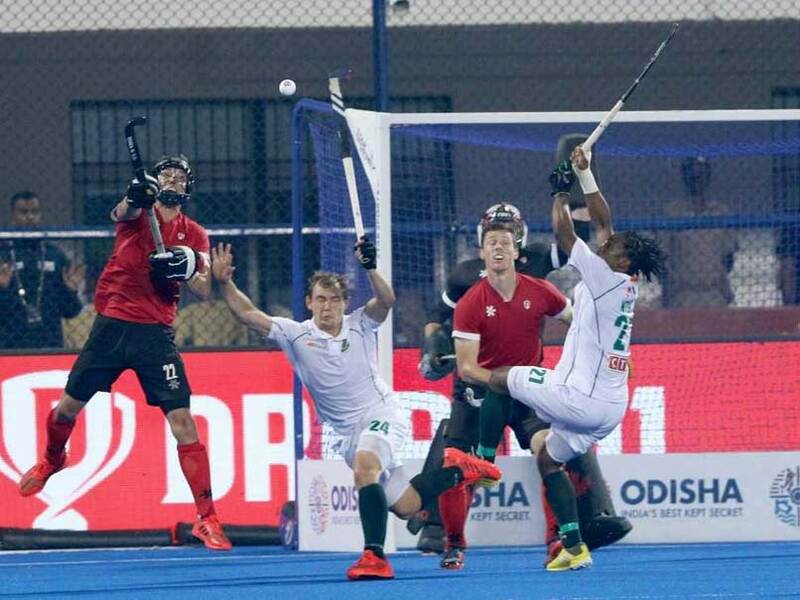 Canada drew 1-1 against South Africa in their Pool C match of the men's Hockey World Cup at the Kalinga hockey stadium in Bhubaneswar on Sunday. South Africa took a 1-0 lead in the tie by a Nqobile Ntuli field goal, however, the lead didn't last long as captain Scott Tupper equalised for Canada via a penalty stroke in the 45th minute. In the first quarter, World No.15 South Africa maintained better ball possession and dominated the World No.11 Canada with accurate passing at regular intervals, but couldn't find the back of the Canadian goal. After going into the break at 0-0, South Africa's Nqobile Ntuli took the lead in the 43rd minute through a fine reverse stick field goal. 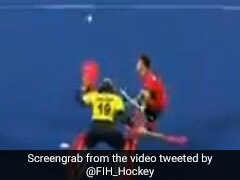 But their happiness short-lived as Canada skipper Scott Tupper levelled the match two minutes later when Canada were awarded a penalty stroke. Both teams upped their ante in the final quarter in search of a winner. South Africa took out their goalkeeper to bolster their attack. The move almost paid dividends as South Africa got their sixth penalty corner in the 57th minute but couldn't convert it into a goal. 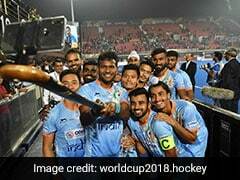 Canada will next play hosts India, while South Africa, with a goal difference of -5, need to avoid defeat when they face Belgium in their last Pool C match on December 8. 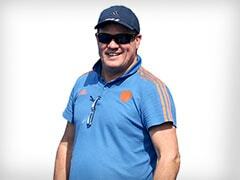 In the other match of the night, India and Belgium also played out a 2-2 draw in a thrilling encounter. 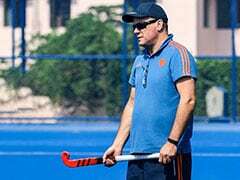 Harmanpreet and Simranjeet scored for India, while Alexander Hendrickx and Simon Gougnard scored for Belgium.